BUFFALO, NY (WBFO) – Victims of sexual abuse by clergy and those with information about such cases are being encouraged to contact a hotline or file an online complaint form. Those options were announced Thursday by the New York State Attorney General, who has also reportedly issued subpoenas to every diocese within the state, including the Diocese of Buffalo, seeking more information on abuse. The Associated Press, citing an anonymous source within the Attorney General’s Office, reported that the subpoenas had been sent. 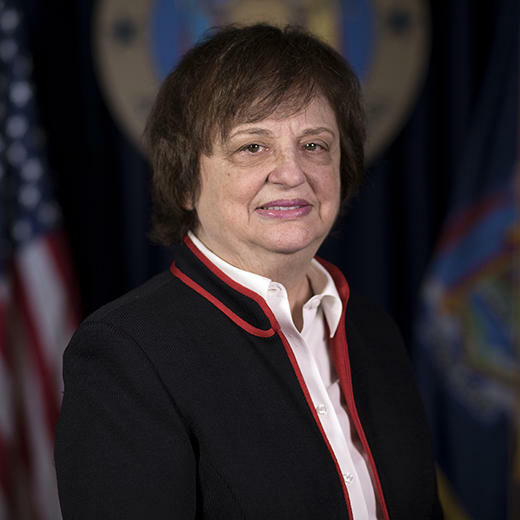 Attorney General Barbara Underwood, through her office’s Charities Bureau, has launched a civil investigation into how church officials reviewed and allegedly covered up accusations of the sexual abuse of minors by priests. Unless instructed by an executive order by the governor’s office, Underwood does not have the legal power to convene a grand jury. Local district attorneys do. Erie County District Attorney John Flynn does not currently have an active investigation into alleged church sexual abuse cases but has advocated for passage of the Child Victims Act, which would ease statues of limitation which currently prevent many adults from seeking criminal or civil action for childhood incidents. Outside the headquarters of the Diocese of Buffalo Thursday afternoon were a handful of abuse victims, standing quietly on the sidewalk and holding signs, one of which read “Honk for Malone to Resign.” That sign drew occasional beeps from passersby. Among those silently protesting was Daniel Bauer of Erie, Pennsylvania. In the 1970s, he explained, he was sexually abused by now-deceased priest Father Lawrence Connors at the St. James Parish in Jamestown, New York. Two others, he said, had also come forward as victims but one had passed away. Bishop Richard Malone, he said, has had six years to address the abuse crisis but has failed by disclosing only a few cases among many more coming forward and then blaming others for the growing backlash, including officials within the church who have also been critical. The clergy sexual abuse hotline announced by the Attorney General Thursday is 1-800-771-7755. Those who wish to file a complaint online are encouraged to visit ag.ny.gov/clergyabuse.